ARLINGTON, Va., Sept. 14, 2018 /PRNewswire/ -- Communities In Schools (CIS), the national organization dedicated to empowering at-risk students to stay in school and on a path to a brighter future, is delighted to welcome NBA Hall of Famer Shaquille O'Neal as the newest member of its national board of directors. "Over all the years I've known Shaquille, he has always shown himself to be a man of integrity and principle for whom giving back to his community is a top priority," says Communities In Schools National Board Chair Elaine Wynn. "We are privileged to have him among the volunteer leaders of Communities In Schools." 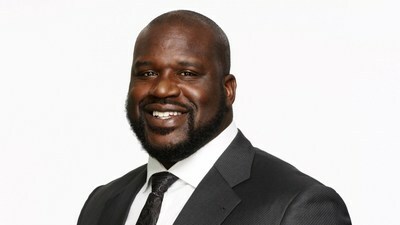 Shaquille O'Neal, former NBA basketball player and Hall of Fame inductee, is currently a sports analyst on the television program, Inside the NBA, and is considered one of the greatest players in NBA history. O'Neal's athletic accomplishments include a 19-year NBA career, four NBA championships (three with the Los Angeles Lakers and one with the Miami Heat), and 15 All-Star game selections. He is one of only three players to win NBA MVP, All-Star game MVP, and NBA Finals MVP in the same year. Rivaling his athletic accomplishments are O'Neal's off-court undertakings, which include success in acting, music, television and gaming. Inspired by positive childhood experiences at the Boys and Girls Club in Newark, NJ, O'Neal has a long career of partnering with youth organizations and giving back to his community. "Every kid, no matter where they're from or how much money their parents make, deserves the opportunity to get a good education," said O'Neal. "My education was critical to my success on and off the court. Being in school gave me self-discipline and showed me the importance of hard work. I always knew that when my playing days were over, nobody could take my education away from me." "Even more than Shaquille's extraordinary athletic career, it's really his passion and dedication to ensuring young people opportunities for success that makes him such an incredible role model," said Communities In Schools Founder Bill Milliken.